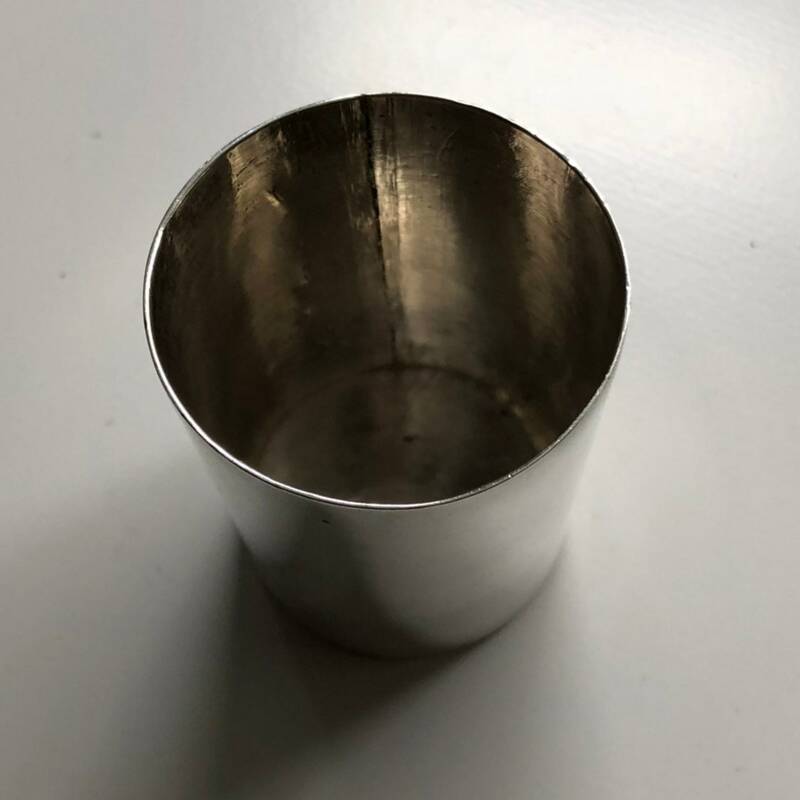 A very nice Spratling sterling silver shot glass recovered from Ohio. The simple straight lines are as relevant as they were when made in the 1940s by Taxco master silversmith, William Spratling. This little cup is mid-career piece. 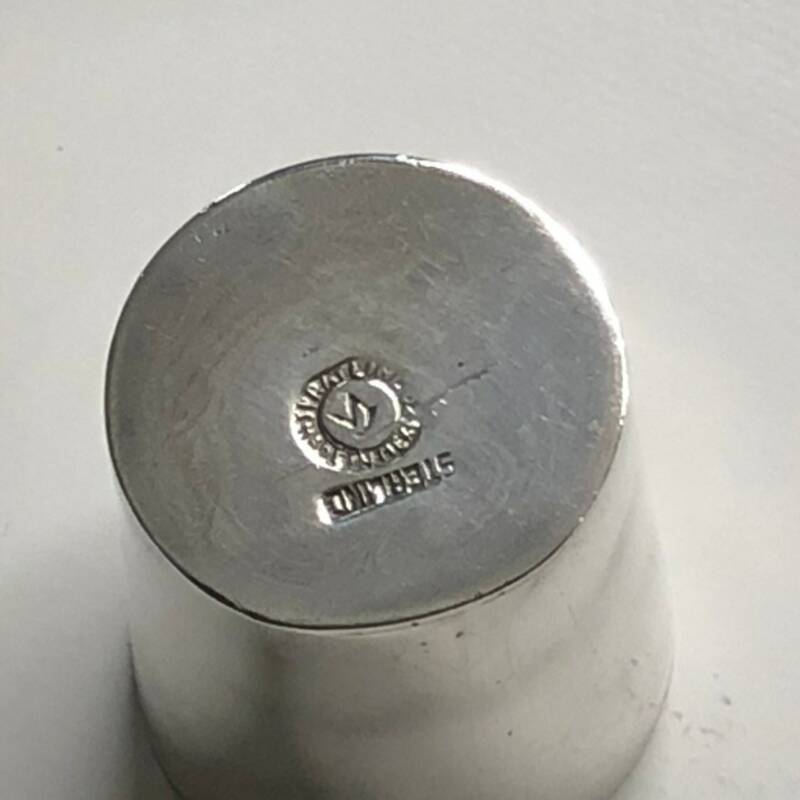 Marked with the incuse WS print circle mark, and sterling. Weight is 40.12 grams. 1.5" x 1.75". Condition is excellent with some minor wear and patina consistent with age and use as shown. 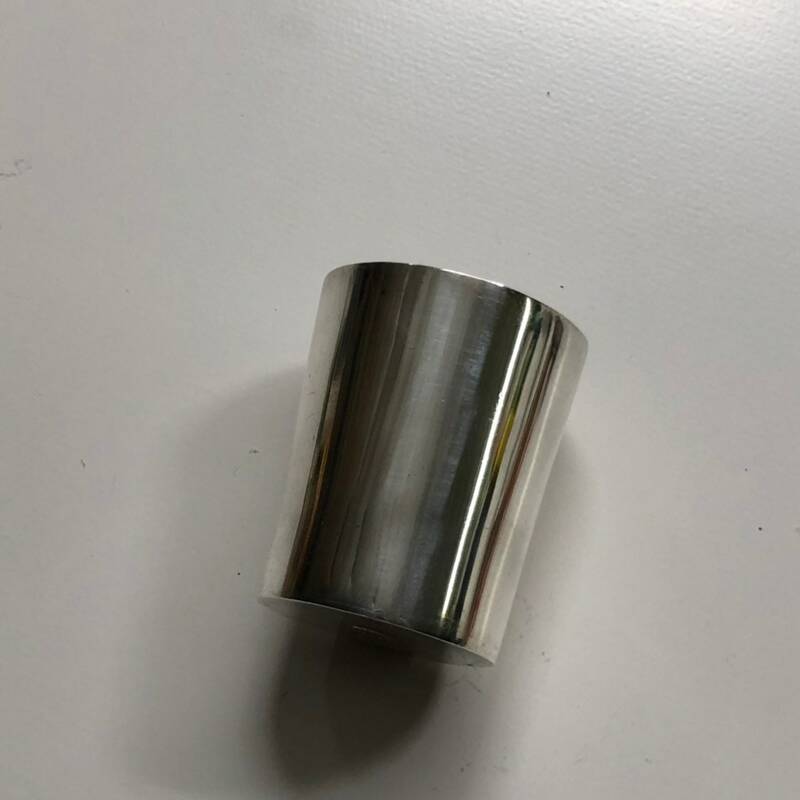 Scratches and patina inside the cup. Great gift for those people who need something great to shoot tequila (or whatever).